There is a place in the South of Italy where you can find your paradise corner. This is the Amalfi Coast Itinerary you have always looked for. 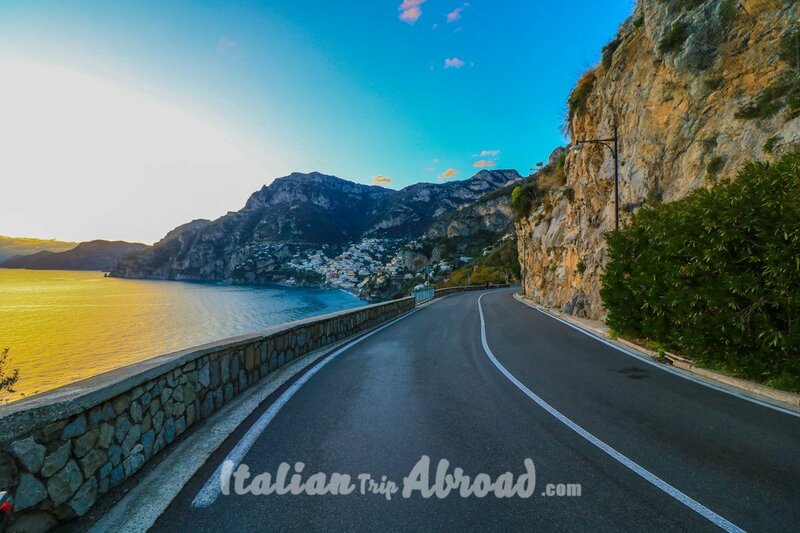 The road trip of Amalfi Coast needs to be on your bucket list, it is the best italian road trip. It is not just because is one of the most beautiful scenarios in the World, but even because is really challenging for anyone love to be on the road surrounded by nature. Maybe is true, we are super happy to show you all the best this place has to offer just because we come from this paradise corner. But, the truth is, every time we going back to Italy, we feel the same love for this place, we become completely overwhelmed by emotions and feel the same love as any views. The Amalfi Coast is not just Positano and Amalfi like somebody knows, this map will give you an Amalfi Coast itinerary full of suggestions on how to avoid bad periods and mad places. The Amalfi Coast has to offer a longline coast coming from Castellammare di Stabia, going through amazing landscapes and awesome beaches, until and over Salerno. 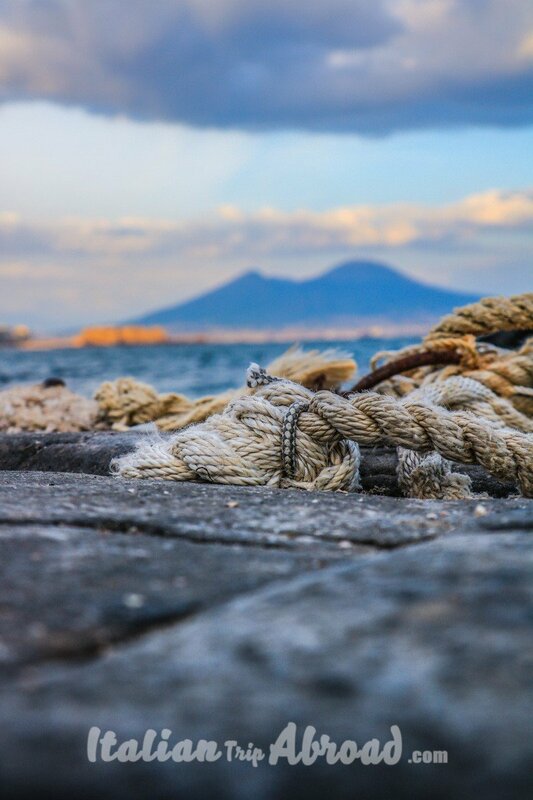 Over the sea you will see many of the Isles that makes this land even more unreal, we are talking about Ischia, Capri and Procida. 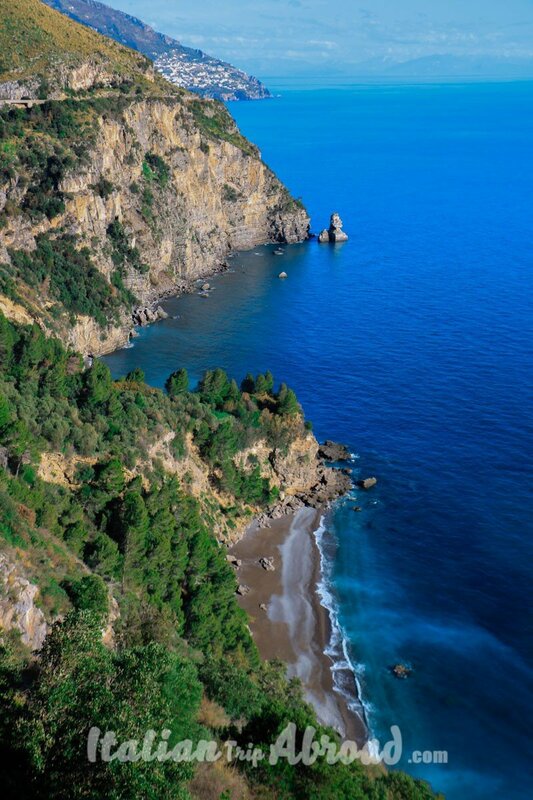 It is a Coast shared between Naples and Salerno. During this road trip, you will empower your passion for this stretch of coastline. There are too many towns need to be discovered, and just getting on top of your motorbike you will find the hidden gems of this paradise. 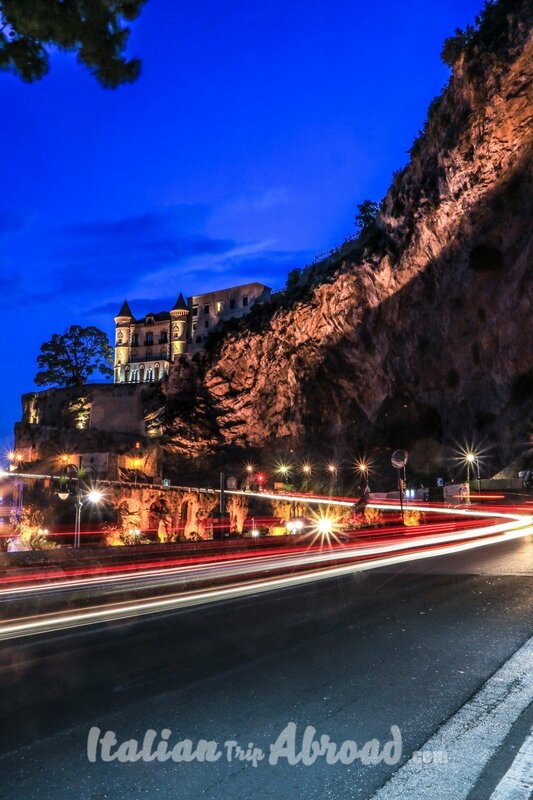 On your long way to discover the Amalfi Coast, you will meet Cetara, Maiori and Minori, Furore, Praiano and many more. This names now will not say anything to you, but for sure in the future, after your Amalfi Coast Road Trip, you will remember it as a postcard in your memory. Do you want to take the best of this coast? Take the chance to ride a Vesta, the most iconic scooter in Italy, the one you will associate with the old fashion “Dolce Vita”, when this coast, together with Capri, was the meeting point of the new Italian generation in 1970. Everyone knows the Italian Coast is one of the most scenics, but together with Cinque Terre, this one is the best one Riviera in the Old Continent. The Amalfi Coast is considered a World Heritage Site by UNESCO since 1997 and it’s located to the South of the Sorrento Peninsula. Your Road Trip Amalfi Coast itinerary will start on the SS163, in Italian SS is mean a High Way without fee, it is in Italian “Super Strada”. If you cannot make a road trip, you can do it by public transport. 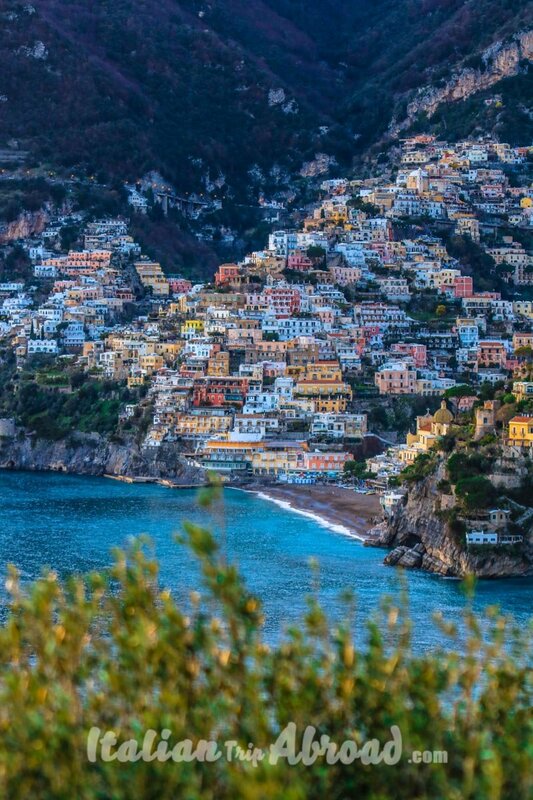 Despite what you think, it is really easy, If you intend to use public transport and arrive from Naples, to reach Positano you will need to take a train, Circumvesuviana, to Sorrento. From Sorrento, there is a SITA bus, it will take you to Positano and the other towns around. With a bus ride, you will visit Vietri Sul Mare, Praiano, Maiori and Minori toward Amalfi. You will miss a lot of hidden beaches, like Furore, one of the best places in the World. If you want more suggestions on how to reach Positano from Napoli by Public Transport, you can read here our guide. If you are planning to head to the Amalfi Coast, just landing in Naples and going away, we will let you avoid it. You are missing the best this place have to give. Naples or Napoli is safe. The city is a good starting point to explore all the beauty the Amalfi Coast has to offer. If you are seeking a relaxing place, rich in culture and long city walk, associate with awesome and tasty food, all that for a cheap price, this location is yours. Here you will eat the best pizza ever, find the true tradition with the classic and natural recipes. We wrote our personal list of the best pizzeria in Naples discovered by locals. 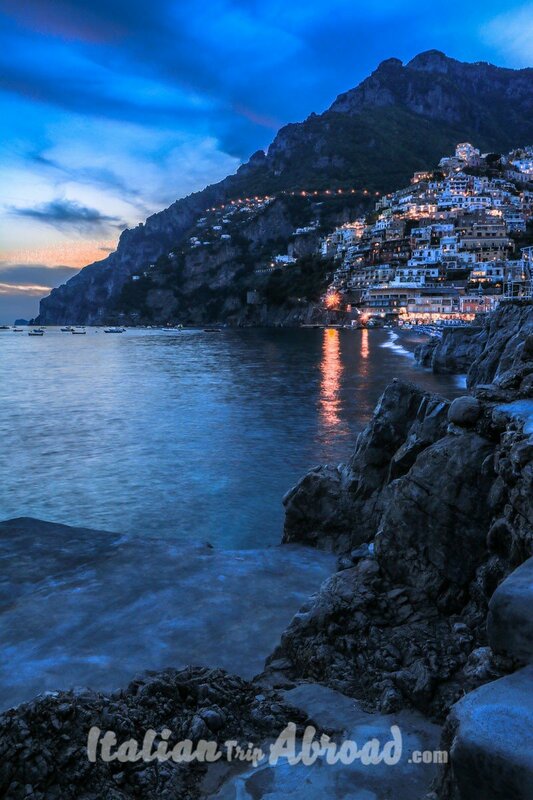 The Amalfi Coast is the perfect Italian romantic getaway, a place suitable for couples. Walk on the beach in Positano, hand in hand with your partner. 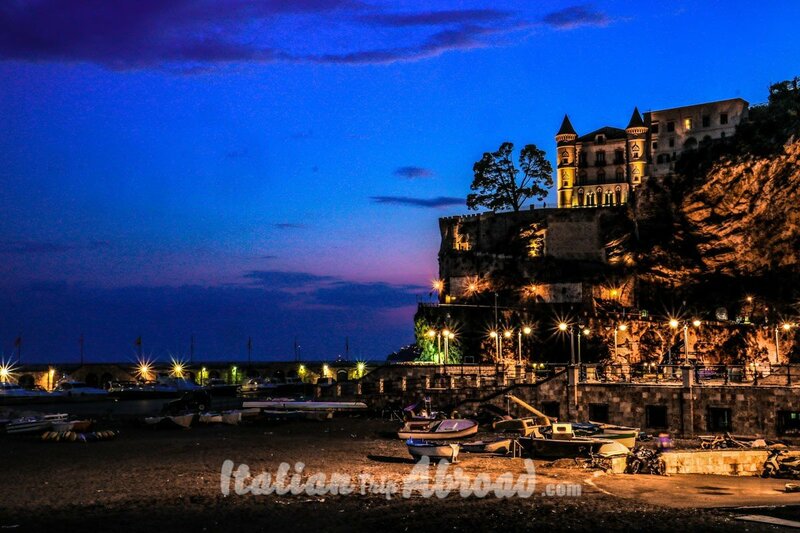 Drink a prosecco on a terrace in Sorrento, with all the Gulf and the stars looking at you. The Amalfi Coast is the best place where to propose, or where celebrate the best day of your life, and it is without any doubt in the list of the most romantic getaways in Italy. Organize the best Amalfi Coast Itinerary can give you the chance to surprise your partner and don’t be shy to ask to your hotel or your host to help to organize something special, it is really common there. As we said before, you will get on the SS163 along the coast. This road is really busy, especially in summer and weekends. The locals prefer to enjoy this road trip using scooters or motorcycles. You will find scary curves (are safe, but if you are a serial driver you will enjoy it). On the two wheels, you will enjoy the best of these curves and the landscapes. There are just two ways and the road is very tight, there are a lot of buses, so be careful, because in some cases they need to occupy almost the whole opposite roadway for affording the curve. On the way to the Amalfi Coast there are some “Terrazze”, a scenic spot with an amazing viewpoint, doesn’t matter if you are by car or on the two wheels, you have enough space to park the car for a minute and enjoy the place. Plan your Amalfi Coast Itinerary looking at the map, there is the stop spot on the way signed on top and you can plan which places stop, even for a quick lunch on the way. Just a little tip: When you find a lot of cars on the sides of the road, and you don’t know why, or where are all the people. It is because nearby there is a hidden beach, where just a few people know that, and there is a hidden road to walk close to you. As you know there is a place “Furore”, where there are no many road signs to point you to the right way to one of the best beach, but just to the commonly known one. Spot those cars on the carriage and find the way to go down the coast, you will find the paradise. There is an alternative way to reach Positano from Sorrento, maybe the most romantic and scenic one. 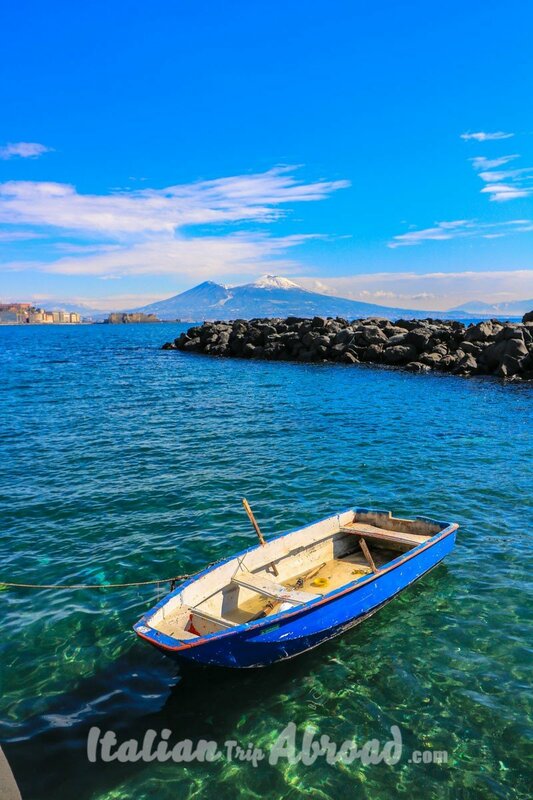 You will go to the Sorrento harbor and take a sea taxi. It is a ferry take you from the Sorrento’s seaport and leave you in Positano. You will see the beautiful town on the rock from the best position. From the sea, on a boat, you will have all of Positano in front of you. This special service is running even at night, it makes the landscape even more suggestive than ever, with all the light and smoothes in front of you. The track will take 40 minutes. The service is running by Alilauro, with a high-speed ferry boat, the price is 19.80£ but is worth. You can book ferries to and from the Amalfi Coast online. The same ferry will take you also to Amalfi, in a special route running from middle may, until October, which takes you from Sorrento to Positano and stop in Amalfi in about 1h. Plan head your itinerary of Naples and Amalfi Coast, as you can see there are many landmarks to see. If you are planning to transport your luggage with you, is better you know there is an extra fee. the luggage can be transported on the ferry, but there is a surcharge of €2 per bag. If you arrive in Positano with your luggage and your hotel is on the high part of the town, there is a porter service on the arrival port, the Porto Grande of Positano. The concierges will take you and your luggage to your hotel for a fee. Our advice to you is to avoid the ferry if your hotel is on the high part of the town and prefer the traditional way, you will get your sea gateway to Positano another time. In the hottest months of July and August, the online purchase is adviced. If you buy your ticket online, you will avoid long queue and the disappoint of sold out. If you don’t have any chance to buy your ticket online, you can go directly to the port and buy your ticket in advance, it will save you! Like from Sorrento to Positano ferry, there is an alternative way to reach the Amalfi coast from Naples by ferry. It is obvious it will take longer respect from Sorrento. The departure of this special track is from the Molo Beverello in Naples, just in front of the Maschio Angioino, the main castle of the city. From this harbor, you will also get the ferry to Capri, Ischia, and Procida. The service is running by the same company for all the coast, the Alilauro, and like Sorrento, you can purchase the tickets online for any route you want. You can visit also a website about Positano and find the right direction and some discount. This is the generic schedule time you need to reach Positano, Capri or do the route Amalfi to Positano. This is one of the common questions we answer to all our friends. There is always somebody asking us about our beautiful country, and now we have the perfect answer. Plan the Amalfi Coast itinerary is not really simple and you need to be really careful about the period of your visit to the Napoli Gulf, there is just one way to go through the Amalfi Coast from Naples and sometimes, especially in autumn and winter it could be closed because of landslides or working on the streets. During the past two years, the local authorities improved a lot this road and now is almost all new and more efficient. The winter on the Amalfi Coast is never too cold, despite the summer it could be really hot. If you want to enjoy the Amalfi Coast avoiding tourist and really taking your personal postcard, March will be the best month. Even that you need to be really lucky to get nice weather throughout the month. April is another good month, but avoid the period during Easter, due to the coastline will be really crowded with locals during this period. From May until the middle of June you will start to see tourists coming from all over, but it is nothing respect July and August. Personally, we prefer September for enjoying our summer vacation in our beautiful land, it one of the best months, it is not hot and the hordes of tourist wane. Avoid October, you will be surprised about the abundance of rain, while in the past two years the first part of the month was so hot. 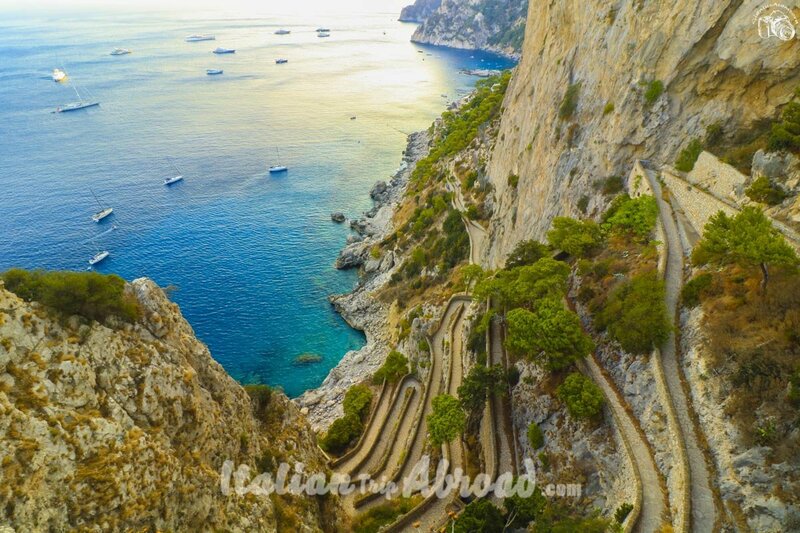 We hope to have given you the most important information on how to write your personal Amalfi Coast Itinerary. Like always we are really happy to help you with more information about it, just send us an email and we will answer as soon, if you want, you can also use the comment box below. This is great! I can’t wait to visit – I’m planning on going in October! You will love it. And in October the weather is not even that hot so is even nicer.